After a day’s rest, the teams in Group A get back into the action today. With France the only team with 3 wins, and Russian sitting at the foot of the table with 3 losses, there is a big batch of teams in the middle who are very much in the fight to make it to the knock-out round at the weekend. Group A is being played in Montpellier and the teams that progress will stay in France, heading off to Lille for the next round of games, which may be of benefit given that there will be less disruption compared to the travel that some teams will be undergoing before the next stage. All of the games on Monday were very close with Israel and Bosnia and Herzegovina requiring OT to separate them. The fact that the largest winning margin was three points indicates the tightness of these games and today’s action will have to be at the highest level to match the intensity and excitement of game-day 3 in Group A. The game between the two teams on 4 points in the group will be a tense one that no team can afford to lose. The fact that both of these teams are coming into this game after a day off and after a morale boosting win means that it could be difficult to split the teams. Traditionally, you would say that Bosnia and Herzegovina should have the edge on their Finnish opponents but the Finland team have exceeded a lot of expectations at this tournament already so far, so this one could be up for grabs. Elmedin Kikanovic was the player that grabbed the last-gasp, and at times, unlikely winner for Bosnia and Herzegovina while Erik Murphy has been in star form for Finland so far this campaign. Taking Bosnia and Herzegovina with a handicap of +4.5, at odds of 1.90, should get your Wednesday basketball betting underway. For those people keen on the Over/Under market, look to go UNDER 153.5 at odds of 1.90. Bet Now! Adam Waczynski was the star man for Poland against the French while Omri Casspi is the player that Israel will look to if they are going to get anything from this game. This game may be a difficult one to call but choosing Poland, with a -3.5 handicap at odds of 1.90, should be enough to give you an interest to the death. In the Over/Under market, look to go OVER 149.5 at odds of 1.90. Bet Now! This may have been the game that many people were looking forward to in Group A but the abysmal showing (so far) from the Russians means that France should be able to roll through this game convincingly. You do hope that the Russians can find form before the tournament is over but it may be that the controversy and uncertainty over the Russian team’s arrival at EuroBasket has put them out of the running before the tournament even began. Andrey Vorontsevich remains an excellent player for the Russians, he was the star man against Finland, and if Russia are to get anything from this game, they will need him to be on form. 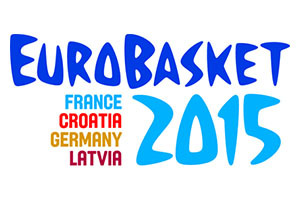 Tony Parker became the all-time top scorer in the EuroBasket in the last game for France while Rudy Gobert showed that France can pick up points from a number of players. France have been backed strongly in all of their games but they are yet to truly decimate a team. This means taking Russia at +14.5, at odds of 1.90, should be of benefit. Going OVER 149.5 is a good option in the Over/Under market. Bet Now!